Storage Concepts have recently completed a bespoke board room project for clients in Warrington. 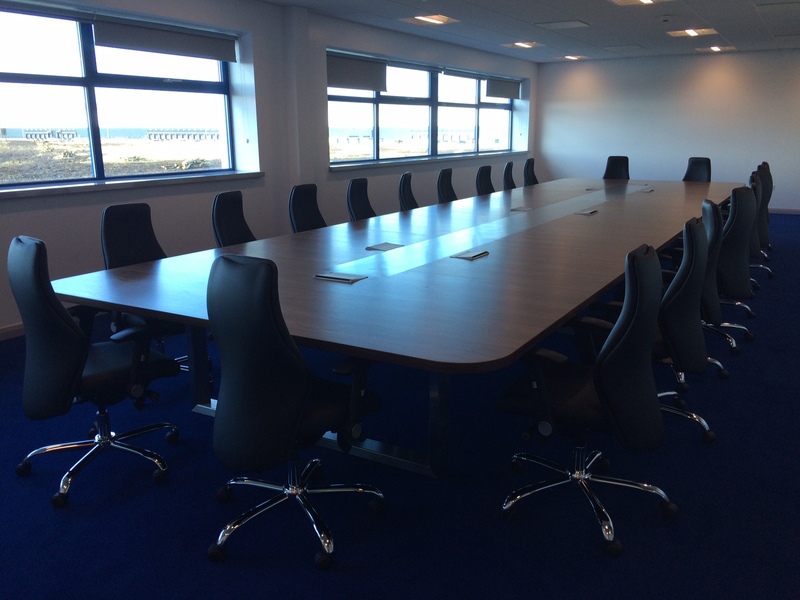 The corporate brief was to provide a high quality bespoke walnut veneered board room table with integrated data, telecom and AV solutions. 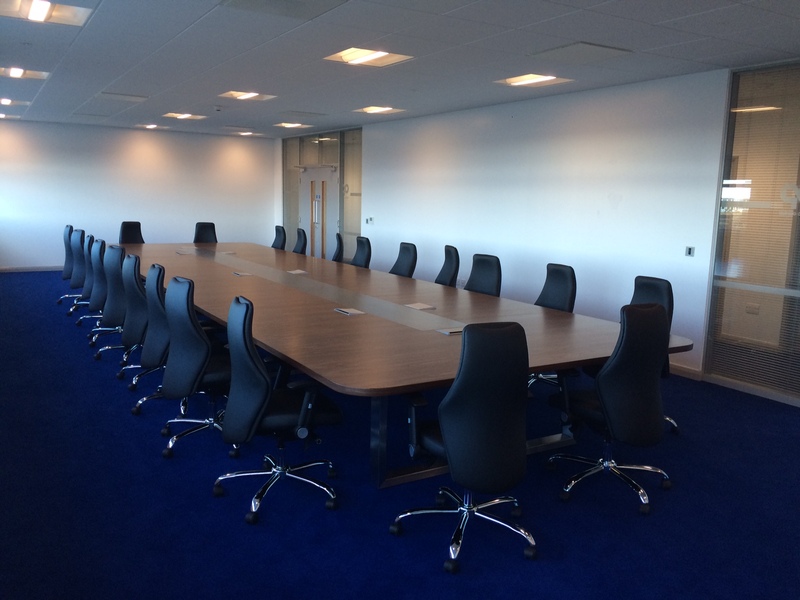 Storage Concepts worked closely with the client to agree a design specification and then manufactured under challenging timescales to ensure that the board room table, cupboards and leather seating were delivered and installed in time for a high level meeting in January. 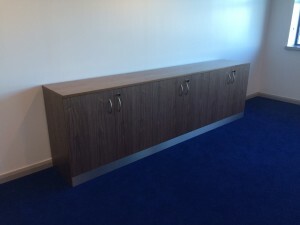 The bespoke board room furniture was part of a full office fit out carried out by Storage Concepts including bench desking, office storage and seating. 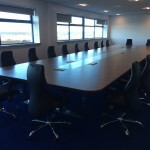 By optimising the way you use space, you can give your business room to expand; without relocating or building extensions. 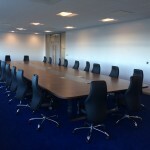 We provide a range of options – from complete turnkey refits to single storage racks – to some of the UK’s most successful organisations. Manufacturers, major commercial and retail companies, warehousing and distribution operations have all benefited from a Storage Concepts re-organisation of the way they use their space. If you would like to find out more, or to have a quote please get in touch either by phone or fill out our contact form and we shall get in touch with you.